The month of October is noted for Halloween, the holiday that screams fun and creativity with those you love. For those passionate about the seasonal spirit, South Florida has your fix with plenty of fall events. With colorful costumes, plump pumpkins and several spooky adventures, there’s an activity for all ages. This year, make your holiday season as bright as jack-o-lanterns. Here are some of the many celebrations you can participate in during the month of specters and skeletons. Whether you have hopes of finding the Great Pumpkin or intend on carving a jack-o’-lantern yourself, pumpkins are the icon of Halloween. Fortunately, the Flamingo Road Nursery provides pumpkins varying in price from $4-$28, depending on your budget. You can stop by this fresh food market from 8 a.m. to 6 p.m. any day of the week. If you feel tired and need to hit the hay, the Flamingo Road Nursery also provides hayrides every Friday through Sunday for free. There are many more local pumpkin patches to pick from, such as the New Horizon United Methodist Church on Flamingo Road. Above all, you’re certainly not going to want to miss the Scarecrow Festival and Contest in downtown West Palm Beach on Oct. 22 from 2-5 p.m. This event has a pumpkin patch, scarecrow contest, bake sale, pie eating contest and a whole variety of autumn essentials – what more can you ask for? For more information on these pumpkin patches, visit flamingoroadnursery.com newhorizonumc.com/pumpkinpatch.html and http://hspbc.org/calendar/scarecrow-festival-and-contest. If you can’t make it to commercialized scare trails such as Halloween Horror Nights, we have you covered. You can join FrightNights at the South Florida Fairgrounds for $25 every Thursday from 6-11 p.m. and Friday and Saturday from 6 p.m. to 12 a.m. Otherwise, Enigma Haunt in Boca Raton challenges you to three hair-raising attractions every Thursday through Sunday until Halloween night. For more information on these events, visit myfrightnights.com or http://enigmahaunt.com. Caramel apples, Ferris wheels and challenging games to win prizes bring crowds far and wide seasonally. You can experience this and much more excitement for all ages at Saint David’s Catholic Church from Oct. 20-23. Admission is free, but you can endure as many rides as you want throughout the night for $20. Challenge yourself and your friends to midway games and win stunning artwork or fluffy stuffed animals. If you’re a thrill seeker, there are plenty of roller coasters and other blood-pumping rides to get you going. Once all the energy is out of your system, sit back and enjoy the live musical performances varying every day. For more information about the Saint David Carnival, visit saintdavid.org/carnival.aspx. Who says you’re too old to dress up for Halloween? You can celebrate the Day of the Dead on Nov. 2 in Downtown Fort Lauderdale from 4-10 p.m. For a not-so-spooky event, the Halloween Happenings in Davie takes place on Saturday, Oct. 29 with free admission. 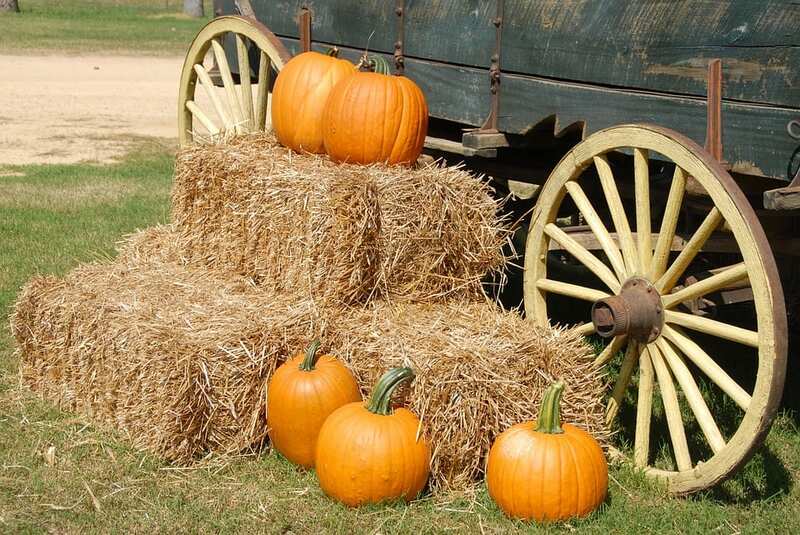 The Halloween Happenings has a variety of events, including food, drinks, haunted houses and a pumpkin patch. Ever wanted to re-create a cult-classic film live? The Sudgen Community Theatre presents “The Rocky Horror Picture Show” on stage from Wednesday through Sunday for $10 for students 21 and younger. For more information, visit dayofthedeadflorida.com, davie-fl.gov/gen/DavieFL_SpclPrjcts/eventinfo/Halloween%20Happenings, and naplesplayers.org. Do you believe in ghosts? Embark on a journey to find some on the Fort Lauderdale Ghost Tour happening Friday, Saturday and Sunday nights for $20 a head, if you think you have the moxie to pursue the most haunted house in South Florida. Some say the ghosts of many years ago still inhabit the homes and are waiting for new guests. For more information, visit ftlghosts.com. Whether you love the treats or playing tricks, the month of October is calling to raise your spirit. Enjoy the season of autumn and make some memories while the temperature stays cooler.